Despite major human achievements, landslides and tremors never felt before perpetuate fear that Colombia’s largest dam could burst. Earth movements across Saturday and Monday posed enough of a threat to force workers attempting to save the Hidroituango dam from collapsing to abandon their posts. The emergency came after a brief period of hope; engineers and builders had successfully finished constructing the dam wall that would allow the return of more than 25,000 evacuated people to their homes. 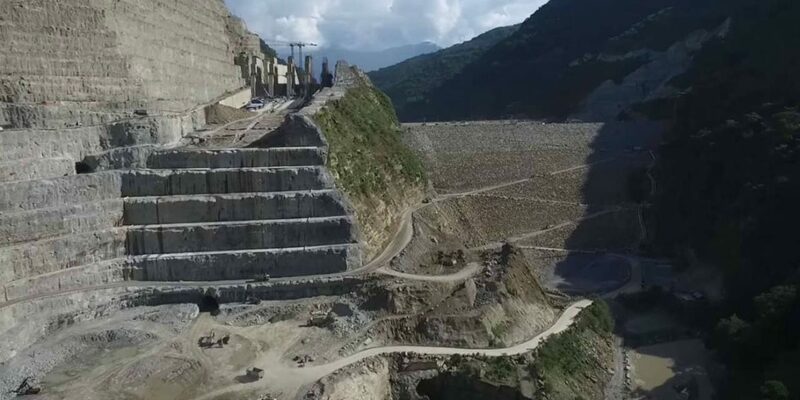 Management of the EPM utility company in charge of the construction of the trouble-riddled dam made the executive decision on Monday in what presents itself as an entirely new threat to a dam that could burst at any moment. “For safety and prevention, those who have continued restorative works of ​​the project were evacuated,” a statement from the Medellin-based company read Monday. While workers have had to abandon their posts before, never have they had to because of the rumblings of Mother Nature, proving to be an entirely new danger and yet another setback in what has been a pressing month for EPM. The company has been forced to turn the construction project into a salvage mission for the up to 100,000 residents living across 12 municipalities downstream who could be flooded should the structure give way. Despite workers having raced around the clock to reach the “fundamental” 410 meter elevation on dam walls, and promising to bolster it with rocks a further five meters for “additional insurance,” there are still grave concerns for nearby locals. “EPM reiterates to residents living downstream of the project that it is still in a state of permanent alert and must not lower their guard. For this reason, it is essential to remain vigilant to the safety warnings of authorities,” EPM said. Medellin Mayor Federico Gutierrez said that if the dam were to give way, floods would reach municipalities such as Nechi in 18 hours, Caucasia in ten, Caceres in five and Puerto Valdivia in just an hour. More than 8,000 people remain in temporary shelters for safety reasons, according to radio station La FM. As a precautionary measure, a tunnel that connects to the nearby Ituango municipality was also closed. A boat shuttle has instead been made available for affected residents, with an additional ferry service to transfer vehicles expected to be made available by the end of the week. A group of geologists continues to monitor the entire site.